Rishikesh, Uttarakhand (India) – August 17, 2018 (travelindex.com) – The Pacific Asia Travel Association (PATA) announced that the PATA Adventure Travel and Responsible Tourism Conference and Mart 2019 (ATRTCM 2019) will be held in Rishikesh, Uttarakhand, India from February 13-15. The announcement was made by PATA CEO Dr. Mario Hardy at Tourism PowerHouse 2018, a PATA India Chapter initiative, held recently in New Delhi, India. The three-day event, kindly hosted by the Uttarakhand Tourism Development Board, comprises of a one-day travel trade mart and one-day conference that brings together public and private sector tourism professionals involved in adventure travel and responsible tourism. 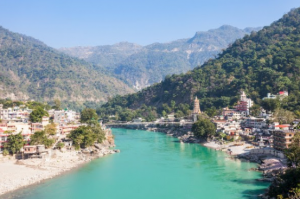 Nestled amidst lush greeneries guarded by the breathtaking hills of northern Uttarakhand, the tranquil city of Rishikesh is oft­en claimed as the `Yoga Capital of the World’. It gained instant fame when The Beatles came to stay with their guru, the Maharishi Mahesh Yogi, in the 1960’s. Boasting marvellous temples, pilgrimage sites and the magnificent Ganges River, every corner of this legendary place has stories to be told. But Rishikesh is not all spirituality and yoga. Today, the city attracts tourists from all over the world for its numerous adventure sports such as white-water raft­ing, cliff-jumping, kayaking and camping. Known as the ‘Gateway to the Garhwal Himalayas’, Rishikesh is also a designated starting point for treks to numerous Himalayan pilgrimage centres and shrines. Watersports fans can enjoy raft­ing down the Ganges River amid the rocky mountains and natural wood surroundings. Thrill-seekers can choose to dive off a cliff from a dizzying height of 35 feet­ or face the superb rapids of the Ganges on a kayak. Meanwhile, waterfall trekking offers a gentler opportunity to get close to nature while being accessible to people of all age groups – perfect as a family activity. Explore the destination where excitement meets tranquillity within the backdrop of tall mountains, amidst the gushing sound of crystal clear waters. This is Rishikesh – land of gods, adventure, and peace. The PATA Adventure Travel and Responsible Tourism Conference and Mart is an annual event that offers a platform for sellers and buyers involved in the world of adventure travel and responsible tourism to secure new business and to consolidate existing contracting relationships via PATA’s well-proven system of pre-matched appointments. It is an excellent opportunity to create new experiences and to share new opportunities with global tourism professionals. Early bird discounts are available for all registration fees until October 31, 2018, while special rates are available for Uttarakhand delegates. For more information or to register for the event, please visit www.PATA.org/ATRCM or email ATRTCM@PATA.org.